I’VE been going to Cebu since the late ‘80s and have been amazed by how much it has changed in terms of infrastructure, the increasing number of hospitality and food establishments, and gasp…the traffic! Of course, the traffic situation there still pales in comparison to Metro Manila, but gone are the days when one could virtually drive to any destination within Metro Cebu in less than 10 minutes. There are so many hotels to choose from—from budget deals and mid-range steals to swanky five-star accommodations. The same goes for food and shopping; bars, restaurants and malls are just everywhere! Name it, you have it - the Gaisano malls, SM, Robinsons and Ayala Center. Transportation is not a problem since there are metered taxi cabs which can drive you anywhere, aside from the jeepneys. Buses ply many routes from Metro Cebu to the outlying districts. There are also a handful of trusty rent-a-car options to choose from. Here are a few suggestions of places to check out if you’re staying at least 48 hours in Cebu. Do the touristy route or check out places off the beaten track, it makes no difference, because you will have a great time, especially if you meet the right people. * Fort San Pedro—the oldest and smallest fort in the Philippines which was built in 1565 after Miguel Lopez de Legaspi sailed into the country. Its present structure was only finished in 1738. The fort was meant to protect the Spanish conquistadors from local natives and supposedly marauding Muslim pirates. Located in Metro Cebu’s port area, it was later used as a Spanish garrison during the Philippine revolution. * Shrine of Magellan’s Cross—said to be the cross planted by Portugese explorer Ferdinand Magellan’s men upon his arrival in Cebu in 1521. The original is supposed to be encased in the present one now installed in this chapel in a plaza beside the Basilica Minore in downtown Cebu. Do watch out for the poor beggar kids who will try to harass you for loose change. The uniformed manangs who supposedly guard the Shrine may also sweet-talk you into buying all their candles. * Basilica Minore del Sto. Niño—the oldest Catholic Church in Cebu established on the site where supposedly a Sto. Niño was found intact in a burned box purportedly left behind by Magellan and his crew. Sunday Mass is actually held at the courtyard across, as the main church can no longer accommodate the crowds that gather. Pilgrims inside the main church pray to the Sto. Niño and other saintly images. * BE Resort—a hip and mid-priced hotel in Mactan with spacious rooms that have views that look out to the sea, as well as the beachfront below where you can lounge about and get a tan. For inquiries, visit www.BEresorts.com. * Islands Banca Cruises—island hopping with a cool vibe. Chill out on the deck while sipping a cold drink, or get a massage while traveling to your next destination. You can go to Olango Island for bird-watching or a round of snorkeling at the marine sanctuaries of Gilutungan or Nilusuan. It also offers sunset cruises, barbeque picnics, and scuba diving. These bancas are especially built to accommodate anywhere from 10 to 15 persons, to as many as 30 to 35 persons depending on the size of the boats you are renting. For particulars, call (+63917) 630-0736, (032) 236-4896 or 516-1903. * Acqua at Shangri-La Mactan—the best Italian restaurant in Cebu with northern specialties prepared by the jolly and talented Chef Luca Visiglia. Best treats from his kitchen are his antipasti sampler, ravioli stuffed with mushrooms and gorgonzola cheese, almond-encrusted lamb chops marinated in red wine, the thin crust pizzas, just to name a few. The restaurant also has an excellent array of wines. For reservations, call (032) 231-8224. 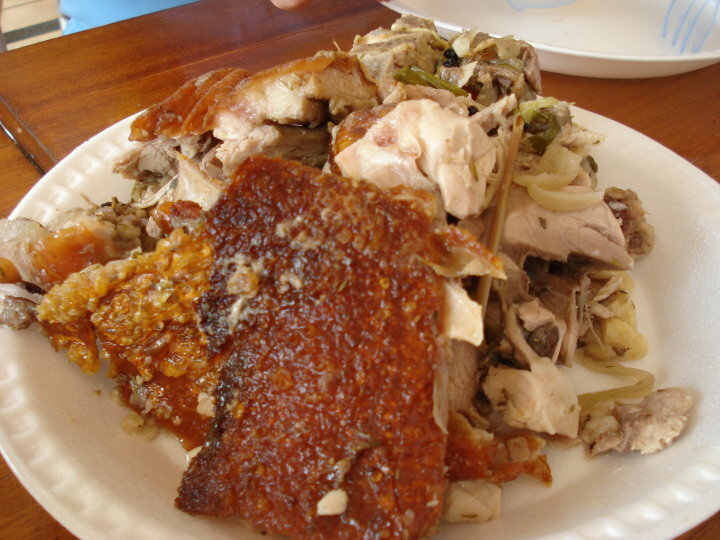 * Zubuchon at the Banilad Town Center—simply the best lechon in Cebu, bar none. Crispy-bubbly skin and herb-flavored, tender pork meat—sagad-sa-laman goodness. Even chef and food-show host Anthony Bourdain gave his stamp of approval on the pig. You get it boxed free for every kilo bought at P450 each, or order an entire pig for your parties. Recommended size is 16 to 18 kilos cooked weight at P5,500. To order, just call (032) 236-5264 or 0917-6274761. * Taoist Temple – is an area of worship by the local Filipino-Chinese population. Located in Beverly Hills, the posh enclave of some of Cebu’s richest families, the temple has three praying rooms, two on the ground level, while one on is located at its highest peak, accessible by winding stairs. It is designed in the usual Chinese green and red colors, with images and sculptures of fierce dragons strategically located at the upper entrance, and on the pagoda-style rooftops. The main entrance is downhill where fervent devotees make the 99-steps-climb to the 38-year-old temple. Catch your breath while gazing at the wide expanse of the city in the distance. * Carcar heritage town—a visit to Cebu isn’t complete if you don’t drop by Carcar, just a 45-minute drive down south of the metro. 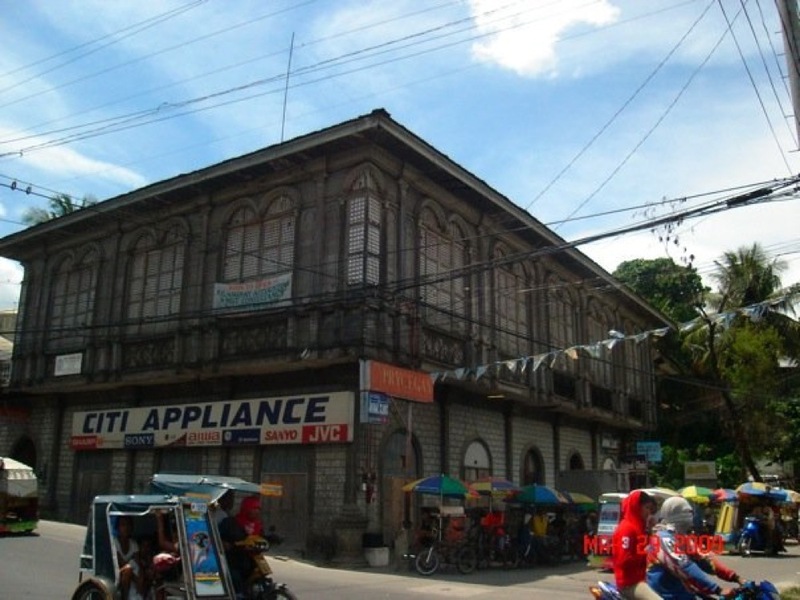 Aside from the tasty pork chicharon with laman the town is famous for and which are sold in many stalls in the public market, there are a number of lovely ancestral homes that are still standing and still used by local residents. There are quite a few, however, that have been turned into hardware stores and other commercial endeavors which kind of disrupts the old-town look, but I suppose one can’t stop progress. Also, one of the best features of Carcar is the centuries-old St. Catherine’s Church which sits on a hill overlooking the rest of the heritage town. The present structure is actually its third incarnation after being first built in 1859. On the way back to the metro, you can drop by the many stores and booths by the street selling reasonably priced leather shoes and sandals. I wasn’t able to purchase a pair but I’m told the footwear is very durable and can last for years. * Islands Pasalubong Center—on the way to Mactan International Airport, you can drop by the center which offers a wide array of Cebuano delicacies already packed and ready-to-go, such as the favorite breakfast treat danggit, mango juices and dried mango chips, otap and the like. The center carries the Islands Souvenirs clothing brand well-known for its trendy souvenir T-shirts which are witty and on the cutting edge of art. You can usually buy Brazil-made flip-flops which are marked down at even friendlier prices.